Some things worth reminding. Even when we’re all adults. From how we speak, and treat others. How we live everything in our favour of coerced likes and dislikes. How we dismiss or express an opinion. We may very well understood the justifications behind every words we choose. Because our desires, wishes, goals and intent – drives this rationale altogether. What am I getting at here? I am simply reminding us all just how damaged and out of touch we really are. Of our own insensitivities. From the social to the molecular. Worse still – from how we perceive food. Using “food” to weaponise our moral divisions, alienations, and contempt. What does linguistics have to do with offal/organ meats? A lot. In terms of how we tend to personify and re-contextualise any profanities at justifying our many contempts against another human being. Beyond cursing. But alienating. “Faggots” , and/or “eating the humble pie” certainly comes to mind. Little do we realise amidst the present, pedestrian normalcy – we often glamourise such words. Yes dare I say “glamourise” – as such we harbor its acceptance and use as “jokes”. To poke “fun”; despite “no pun intended”. Throughout all my prior collar-&-tie years working behind corporate glass doors – I see countless casually spurt such profanities; inbetween glancing everyday water-cooler-talks and all the way to internal emails. Oh, sometimes out to “clients” too. Yet hardly we realise our own impending insentivity. That the very words we deliberately re-purpose for “fun” themselves present something tangible, organic and worthy of respect. Offal and “off-putting” sounded justifiably similar. Organ meats = are such reminders. Few if any today are willing to dwelve deep into history’s reconciling and interpretation of food. They were seen as both instruments and of organic value; rather than hedonic advertisements. For many civilisations – we’ve forgotten that our pantry staple simply known as “salt” – had an immensely important history. Amongst communal tribes; such notion of “respect” also greatly extends (and prized) as accordingly from the animal organs. We’ve forgotten our own reason for being called sapients. “Being Wise” is one thing people would never have thought of as its association. Consumption is inevitable; thus Life should not be wasted. A life form are all compartmentalised from many things. Bones, fats, blood, gelatins – that can be used and utilised for civility and of advancement – for other lives and ecosystem/s – to proceed, to succeed and flourish. Over and over. Once again, organ meats – are such remnants critical to this cycle of life – that one day we’d soon regret for our own negligence from their irreplaceable qualities hard to find amidst our institutionalised, low-fat “food”. I long to wish that one day, we’d stop cursing or drawing contempts one another through such sad associations and alienating semantics. ….And instead praise them; the very organic remnants of life themselves. For they were much responsible at sustaining as well as an obligate contributor to the very cycle of life and of living themselves. From one civilisation, generation to the next. So, now that we’ve got much of another life’s lesson out of the way – we’re getting to the fun part. The most easiest and practical way of cooking is by the oven. But first, a bit of preparatory notes and tips. No matter how much you love meat; both understandably and admittedly for many people – blood remains an uncomfortable sight. Understandably livers and organ meats in general – are the most enriched organs which hold the most blood. Woolworths® do on occasion – stock lamb & ox hearts (this one less often available unfortunately) which they are simply nothing more than the whole heart organs themselves packed together without much of the blood. To cook organ meats, one can cook easily as placing them on a tray, and sliding into a preheated an oven to 210 degrees C, and leave yourself away to do other things for 20 minutes. No additional fats or oils required. Sear using its’ own fats and let it all do the work. 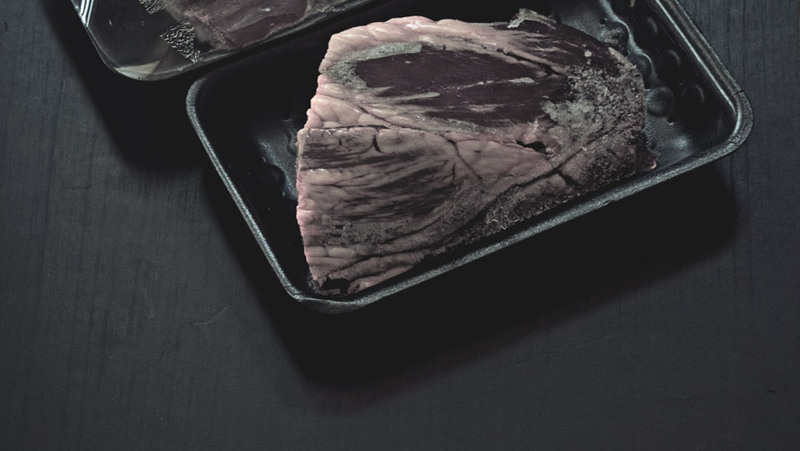 If an oven is not available – you can cook organ meats on a frying pan should you wish (I use a stainless steel – set it to very hot temperature first before lowering the meats gently). However since frying meats in general create a lot of rebound / lost heat energy as air / smoke – it might be helpful to cover with a sautee lid to encourage and simulate slight pressure cooking. One warning however is should you decide to use the pan – be sure to check on the progress every minute. As some organ meats (lamb fries and kidneys in particular) are prone to sticking upon first few seconds of intense cooking. From my experience, lamb livers or any organs that holds more water content (hearts less so) – defrosts much slower and preferably must be defrosted simply by letting it stand on room temperature, NOT by defrost-microwaving. For slightly more muscular meats however; such as tongues and hearts – the defrost-microwave method is forgiveable as there is less water and just the meat itself that need to be defrosted.After 20 minutes, take out and examine the cooking progress. Take out a fork and knife. Pierce and slice through the middle chunk and examine the doneness as to its colour. If at least 75% of what you see remains somewhat pink; cook again on a slightly lower heat for 10 minutes. At this stage you may also wish to drain away the excess polyunsaturated fats (as organ meats are likely derived from animals who are not predominantly raised on eating grass). If at least 75% of what you see remains more or less a lightened brown – then the cooking is sufficiently complete. Sadly, not all offcut / organ meats are affordable. Ox tails from my own personal findings thus far remains the most expensive – at a general street pricing of $AUD 12 per kilogram in major outlets. Kidneys are generally affordable; should they are given as soon-to-expire specials. Livers, and hearts however – remain the most affordable primary considerations at generally no higher than $AUD six per kilogram. Lastly, It bears an important note to re-exercise common sense – that I’d advise rotating all consumptions different organ meats from one to another to ensure variety and diversity of macro nutrient intakes. Accordingly to the Myfitnesspal® database, a 130g cooked weight of ox heart offers: 146 calories, 5g of fats, 0g of carbs and 23g of protein. This is based on database entry “Coles Ox Hearts” with 130 (1 gram each) as the input entry for one generous serve. Ox hearts; once cooked incredibly resembles its texture to that of any chunk or roasted muscle meat. From experience – hearts (in shrinkwrapped total raw + water weight) of 700g approx. translates to 600g in cooked form. This translates to roughly for up to four and quarter meals within ketogenic dietary regime. Ox hearts unfortunately are seldom found at either two major outlets (Coles® / Woolworths®) However looking at your grocer’s off cuts / offal labeled section would yield most likelihood in finding them. On occassions they can be found for as low as $5 per kilogram so geographically they’ll vary. Going by myfitnesspal database, a 125g cooked weight (NOT RAW weight + water content) of lamb heart (3/4 of organ) offers: 276 calories, 12g of fats, 3g of carbs and 37g of protein. This is based on database entry “Generic – Lamb, Heart Cooked” with 1.25 as the input entry for one serve. From experience – a pack of three whole heart organs (about 600g in dry weight) equals to making up to four meals within ketogenic dietary regime. Lamb hearts are more likely to be found more often at Woolworths®. However looking at your grocer’s off cuts / offal labeled section would yield most likelihood in finding them. Generally speaking they run at $6 per kilogram. Given the yield; they are much more economical but again as general reminder; diversify your intakes. Lamb Livers – Going by myfitnesspal database, a 125g cooked weight (NOT RAW weight + water content) of a portion chunk lamb liver offers: 275 calories, 11g of fats, 3g of carbs and 38g of protein. This is based on database entry “Lamb, variety meats and by-products, liver, cooked, braised” with 1.25 as the input entry for one serve. Beef Livers – a 150g (generous serve) offers: 147 calories, 7g fats and 26g of protein. This is based on database entry “Generic, Beef Liver (Roasted)” with 1 serve as the input entry. From experience – a 700g of overall raw weight (including water weight) of lamb fry equals to making up to four meals within ketogenic dietary regime. This translates to roughly 500g of final cooked weight which then is divisible to four portions for four meals. Next to oxtails – livers are the most easily found offal meats in both chains (Woolworths® and Coles®). Nonetheless looking at your grocer’s off cuts / offal labeled section would yield most likelihood in finding them. Although they run at $6 per kilogram, they offer comparable overall yields of (subjectively) generous servings to ox hearts. Going by myfitnesspal database, a cooked (not raw weight) of 5 ounces of chicken livers (approximately 140g cooked weight) offers: 235 calories, 10g of fats, and 35g of protein. This is based on database entry “Generic – Chicken livers, Cooked” with 5 oz as the average input weight for one generous serve. Chicken livers may not be as economically filling as one may think. A kilogram (1kg with inherent raw water weight) will translate to approx 600g once it’s in fully cooked weighed state (panfried) with excess polyunsaturated fats drained out. Translating to roughly up to four serve portions. Chicken livers can be found on either major chains (Woolworths® and Coles®). Nonetheless looking at your grocer’s off cuts / offal labeled section would yield most likelihood in finding them. At $4 per kilogram, keep in mind that immediately upon cooked – they give you a much smaller final weight/s; giving you a smaller yield per serve in reality. So…What have you cooked today? Leave your comments and thoughts below.